Kick-boxing experience for Bridgnorth’s top martial artists! Our most successful students on the competitive side of Tae Kwon-Do, Dean and Luke, have had another busy weekend! 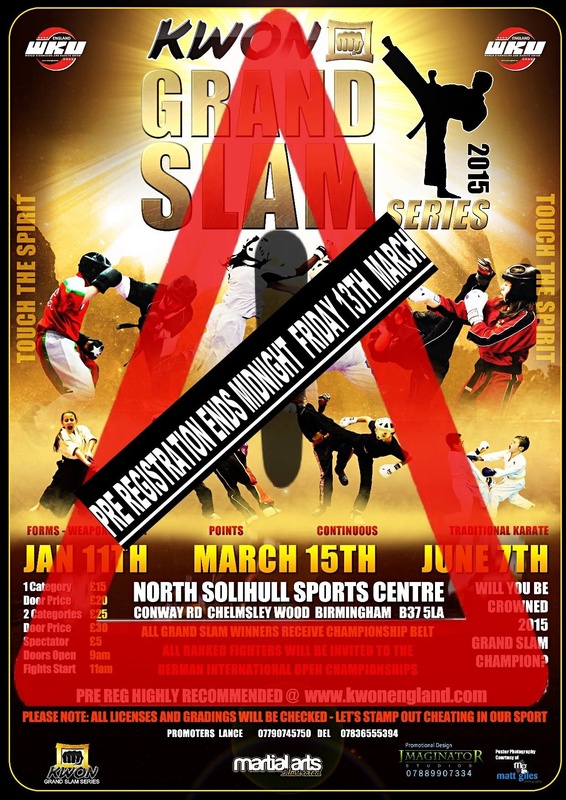 They competed yesterday at the Kwon Slam, a kick-boxing competition in Solihull. The contact was very heavy and the aim of the game was to gain experience. This was something that our GTI national coach, Coach Chow, has encouraged the squad members to get involved in. Not only did the pair gain experience, but Dean also gained a bronze medal! Many congratulations to you both! This entry was posted in Uncategorized on March 16, 2015 by bridgnorthtaekwondo.